Six years. 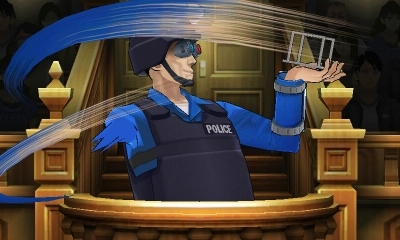 It has been six years since we've had a new Phoenix Wright game in the United States, and six years since we've witnessed the bizarre courtroom antics of this spiky-haired defense lawyer. There were a couple of spin-offs in that time, Apollo Justice: Ace Attorney and Ace Attorney Investigations: Miles Edgeworth, but after his long absence from the courtroom, Phoenix Wright is about to make a triumphant return in Phoenix Wright: Dual Destinies. 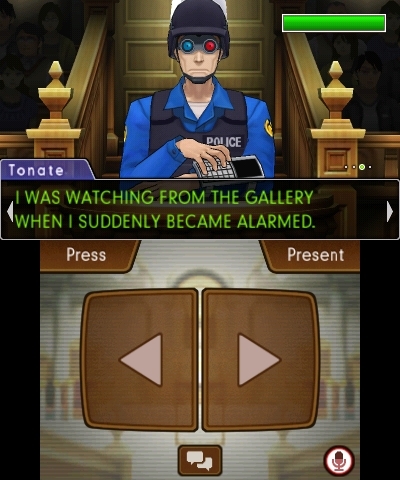 I played through some of Dual Destinies' first case at E3 today, and while it felt pretty familiar, I really couldn't object to any of it. After a mysterious long absence that likely refers to the events of Apollo Justice, Phoenix Wright has returned with a new law office. 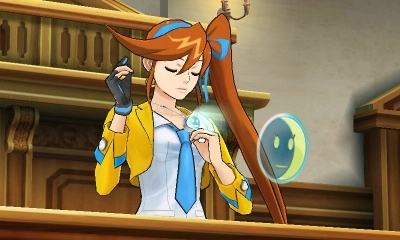 He's got a new protÃ©gÃ©, rookie defense attorney Athena Cykes, who's sporting a wacky hairstyle and bright yellow outfit that fits right into the game's bizarro version of a real courtroom. Aside from Athena, there are a lot of familiar faces: an injured Apollo wants to make sure Phoenix gets justice; Prosecutor Payne returns to convict Phoenix's presumably falsely accused client; and even the Judge is happy to see that Phoenix is back. 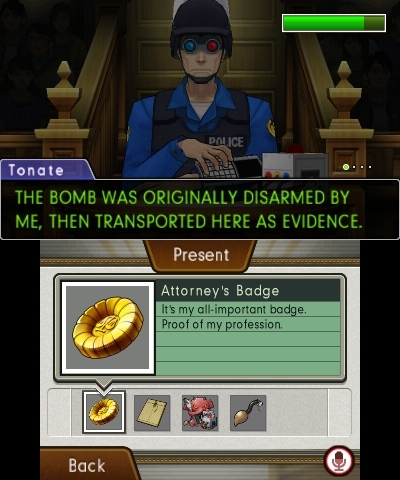 In this particular case, a young woman named Juniper has been accused of setting off a bomb in the courtroom, which is how Apollo Justice received his injuries. As Juniper's childhood friend, Athena is certain she's innocent, and it's up to Phoenix to prove it using courtroom testimony and submitted evidence. The core formula is the same: press witnesses for more information, and show items when they contradict what the people on the stand are saying. Do this enough, and eventually the case breaks down and the defendant is declared not guilty-unless you mess up a few times, in which case you'll need to try again. 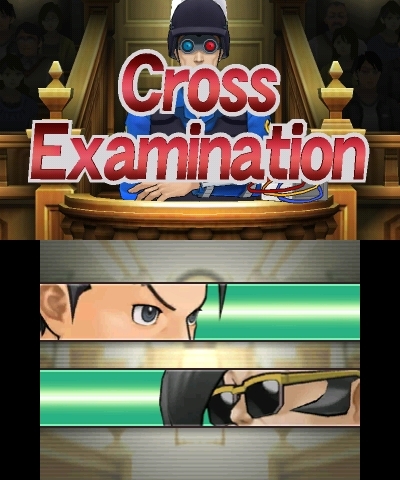 There is one new wrinkle in the classic Phoenix Wright formula, though: Athena's special power. It's described as a special sense of hearing, and it allows her to get an idea of the emotional state of the witness. 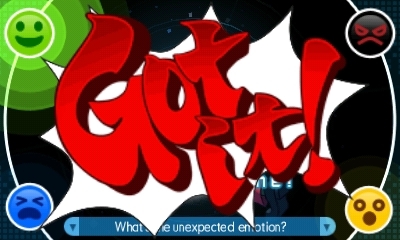 Phoenix can use this to see when the emotions don't match up with the testimony-like, say, if a witness is describing being trapped in a bombing, but is actually feeling happy about it. I had to leave Phoenix before I could get a verdict, but I played long enough to feel really good about his long-awaited return. 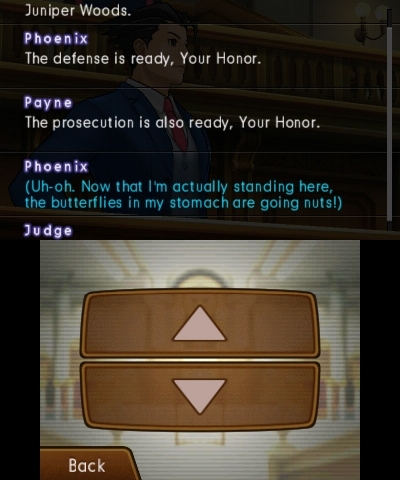 The ace attorney's quirky approach to law may not be for everyone, but I look forward to seeing what's in store for Phoenix and Athena. 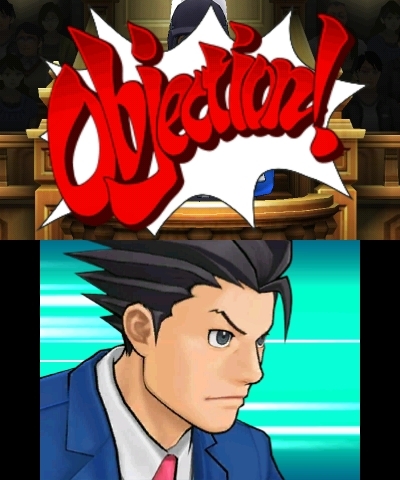 Phoenix Wright: Dual Destinies will be out for the 3DS this fall.